Compassionate legal team to assist clients during difficult times. Small town law firm dedicated to serving our community. C. D. Lewis, Jr., the firm’s founding attorney, has practiced law in Osceola County for over 30 years. 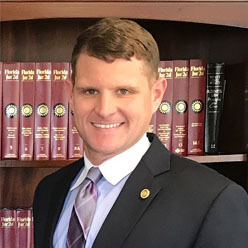 Lee H. Massey, an Osceola County native, joined the firm as an attorney in 2007. Including Estate and Trust Administration. Some Info about Probate Law. Probate and Estate Planning Attorneys serving Osceola County and the Greater Orlando, Florida Area since 1984. Lewis and Massey, P.A. is a law firm dedicated to professional and caring legal representation for our clients in who may be dealing with loss of a loved one, or planning for their family’s financial protection and future. Our goal is to reduce their stress by providing our clients with the personal attention and knowledge of our thorough, capable, and friendly legal professionals. 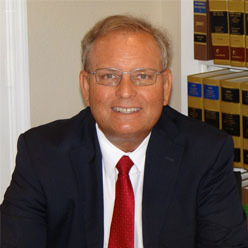 C. D. Lewis, Jr., the firm’s founding attorney, has practiced law in Osceola County for over 30 years. Lee H. Massey, an Osceola County native, joined the firm as an attorney in 2007. 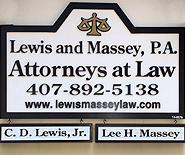 For high-quality legal representation performed by friendly, knowledgeable counsel, contact Lewis and Massey, P.A. We look forward to meeting you and assisting you.